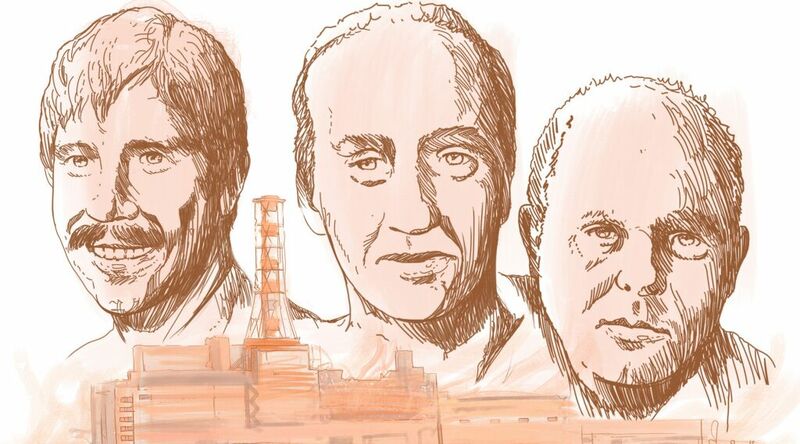 Chernobyl could have been a far worse disaster, but for the sacrifice of these heroes most of us have never heard of. CORRECTION: This Trumpet article below was based on a 2011 report from The Scotsman, which says the three men died shortly after their foray into the radioactive waters at Chernobyl. However, since this Trumpet article was written, it has come to our attention that the three men did not die as a result of entering the waters, but survived the ordeal. In April of 2018, Ukrainian President Petro Poroshenko presented state awards to Alexey Ananenko and Valery Bespalov for their bravery, and posthumously to Boris Baranov (who had died in 2005). The fact that the three survived does not detract from the heroism they displayed back in 1986. The Trumpet regrets the error. This year marked the 30th anniversary of the nuclear power plant disaster that devastated Chernobyl, Ukraine. On April 26, 1986, employees conducted a systems test that triggered two explosions and fires at one of the plant’s four nuclear reactors. The reactor melted down, and the resulting disaster was the worst nuclear power plant accident in history, both in costs and casualties. The explosion released 400 times more radiation than the atomic bomb that exploded over Hiroshima, affecting parts or all of Ukraine, Belarus, Russia, Poland and the Baltic nations. Dozens of people died immediately, and, in the aftermath, thousands more. Hundreds of thousands of others were scarred for life. Experts say the long-term death count from the radiation poisoning is still growing 30 years after the catastrophe. The Chernobyl disaster was horrific beyond words. But without the effort and the sacrifice of three individuals, it would have been horrific times horrific. On May 1, 1986, just five days after the explosion, Soviet authorities at Chernobyl made a terrifying discovery: The core of the reactor that had exploded was still melting down. The core contained 185 tons of nuclear material, and the nuclear reaction was continuing at an alarming rate. Beneath those 185 tons of melting nuclear material was a 5 million-gallon pool. The water was used as coolant for the power plant, and the only thing between the melting reactor core and the water was a thick concrete slab. The melting core was slowly burning through that slab, descending toward the water in a smoldering flow of molten radioactive metal. When that white-hot, melting reactor core touched the water, it would trigger a massive, radiation-contaminated steam explosion. The fallout created by it would contaminate much of Europe. The death toll would make the first Chernobyl blast look almost insignificant. Journalist Stephen McGinty wrote, “This would trigger a nuclear explosion that, so Soviet physicists calculated, would vaporize the fuel in the three other reactors, level 200 square kilometers [77 square miles], destroy Kiev, contaminate the water supply used by 30 million people, and render northern Ukraine uninhabitable for more than a century” (The Scotsman, March 16, 2011). The experts on hand saw that the melting core was devouring that concrete slab, burning through it—getting closer to the water with each passing minute. Engineers rapidly drew up a plan to prevent the other three reactors from exploding. Three men in scuba gear would dive through the flooded chambers of Reactor 4. When they reached the cooling pool, they would locate a pair of gate valves and twist them open, allowing the water to drain out completely before the melting reactor core made contact. For the millions of Soviets and Europeans who would be killed, maimed, scarred and otherwise affected by the impending detonation, it was a good plan. But for the three divers, it was not a good plan. The water beneath the slowly melting Reactor 4 was the worst place on the planet to touch. Everyone knew that anyone who went down into that radioactive brew would live long enough to do the job, and that was about it. The Soviet authorities explained the impending second explosion, the plan to stop it, and the consequences: certain imminent death by radiation poisoning. Three men volunteered, knowing it would probably be the last thing they did. They were a senior engineer, a mid-level engineer, and a shift supervisor. The shift supervisor’s job was to hold an underwater lamp so the two engineers could identify the valves they needed to shut. The next day, the Chernobyl three suited up and dove into the fatal pool. The pool was totally dark, and the supervisor’s waterproof diving light was reportedly dim and periodically flickered out. Groping in the murky dark, the search was fruitless. The divers wanted out of the radioactive swim as soon as possible: every minute submerged was another minute that isotopes freely ravaged their bodies. But they had not yet located the drain valves. So they kept searching, even though the dive light could fail at any moment, letting the darkness close in. The light did burn out, but it was just after its beam crossed a pipe. The two engineers spotted it. They knew it led to the valves they were looking for. The three divers swam in the dark to where they had seen the pipe. They grabbed onto it, and climbed along, hand over hand. There was no light. There was no protection from the radioactive ionization destroying their bodies. But there, in the darkness, were the two gate valves that would save millions. If the trio had not dived in and drained the pool, a history-altering second explosion would have claimed and affected hundreds of thousands, or even millions of other people. The divers twisted them open, and the water began rushing out. The pool rapidly began to drain. When these three men surfaced, their job was done. Workers and soldiers embraced them as the heroes they were. Reports say the men were literally jumping for joy. Over the next day, all 5 million gallons of radioactive water drained out from beneath Reactor 4. By the time the melting core above devoured its way through to the pool, the water was gone. There was no second explosion. The analyses conducted in the aftermath of this dive all agree: If the trio had not dived in and drained the pool, a history-altering steam explosion would have claimed and affected hundreds of thousands, or even millions of other people. The lives of hundreds of thousands were saved by three men. Within a few days, those three began to experience inevitable and unmistakable symptoms: radiation sickness. Within weeks, all three had died. They were buried in lead coffins, the lids soldered shut. Even in death, their bodies remained saturated with radioactivity. Many heroes have done great deeds for others, with only a slim chance of survival for themselves. But these three men knew that there was no chance for them. They were staring down into the waters of certain death. And in they dove. Their names were Alexei Ananenko, Valeri Bespalov and Boris Baranov.